The KN Golf Links at Cam Ranh was designed by Greg Norman. KN Golf Links Cam Ranh Cam Ranh, Vietnam 7,165 Yards, Par 72 kngolflinks.com Twice a winner of the British Open, Greg Norman knows his way around a links. His latest work confirms that. KN Golf Links Cam Ranh sits along a five-mile stretch of sandy white coastline in south central Vietnam, an hour’s flight from Ho Chi Minh City. 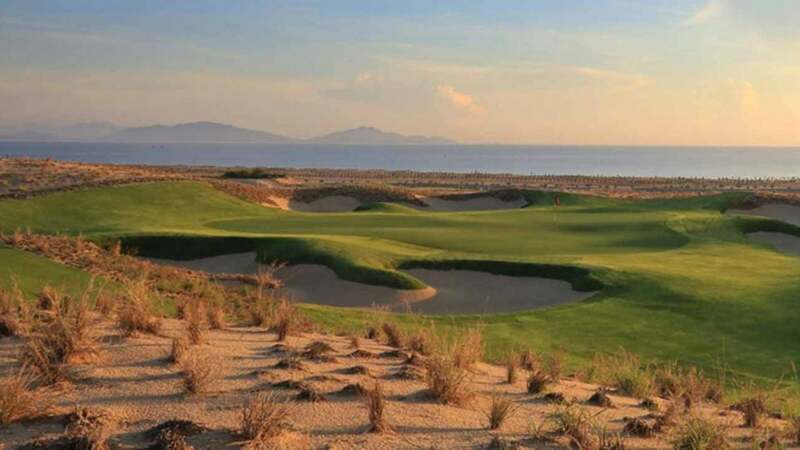 The coastal dunes site yields a classic links experience; it’s hard and swift-running, framed not by trees but by low- profile native vegetation, and buffeted by breezes off Cam Ranh Bay.